Miss Bala (film, 2019). A 2019 action thriller film with "PG-13" rating by Sony Pictures Releasing. Directed by Catherine Hardwicke. Official Trailer. Miss Bala is a 2019 action thriller film directed by Catherine Hardwicke. 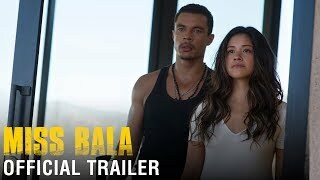 MISS BALA - Official Trailer (HD). Gloria Fuentes is a Latin-American makeup artist from Los Angeles who goes on a trip to visit her best friend Suzu in Tijuana, Mexico. When the pair go to a local night club, Suzu wants to impress to help her chances in a beauty competition she has entered. When Gloria goes to the bathroom, armed gunmen break in through the vents and attempt to kidnap Gloria out of her stall but ultimately give her time to escape while they attack the building. The next morning, Gloria is unable to get contact from Suzu and decides to ride with a police officer to try to find her. When the officer takes a break, Gloria is taken by members of the Las Estrellas gang, the same men who shot up the club. The gang take her to their headquarters, where Lino, the boss, agrees to help her find her friend if she agrees to work for them. Gloria is reluctant but eventually agrees and is told to get into a car and park it on a corner. Gloria does the job, and when she leaves the car and joins the men at the top of the hill, they blow up the building, revealed to be a DEA Safehouse containing three agents. Lino then sends Gloria to the Miss Baja California pageant, where she attempts an escape through the bathroom. Gloria escapes and encounters a DEA officer who takes her into custody and eventually lets her go but not before he puts a tracking device on her since the DEA are aiming to monitor Las Estrellas. Gloria returns to the gang and is sent to San Diego with blood money and drugs attached to her car. Upon crossing the border Gloria is given an arsenal of guns to bring back to Mexico by a gangster named Jimmy, and then told to meet in a large parking lot. Gloria gets to the lot, and the men in Las Estrellas get their weapons. However the police show up, and Lino runs to seize Gloria but is shot in the leg, and Gloria helps him to safety. 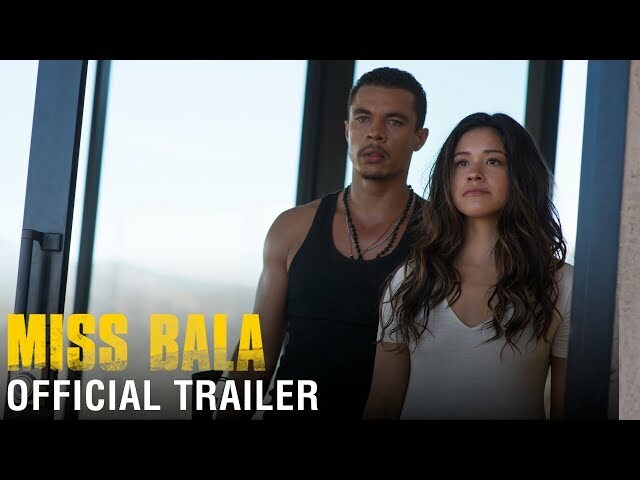 The film Miss Bala was scheduled to be released by Sony Pictures Releasing on January 25, 2019 (Sweden), on February 1, 2019 (United States) and on March 15, 2019 (United Kingdom). The duration of the film is 104 minutes. With a budget of $15 million, the film grossed over $15.2 million. Miss Bala got low rating from critics. But the audience likes the film. Audiences polled by CinemaScore gave the film an average grade of "B" on a scale ranging from A+ to F.